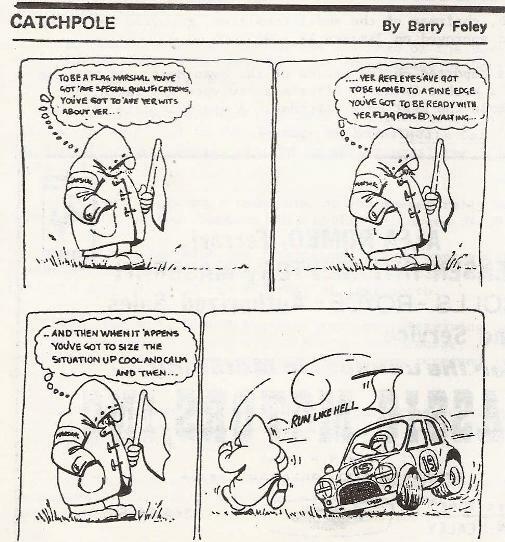 For nearly 25 years, the Catchpole cartoon was a hugely popular feature in Autosport magazine. Every week, Catchpole and his friends passed comment on events in motor sport through the skill and humour of artist Barry Foley. Barry passed in January, 2003. This cartoon was printed in the March 1973 Gasket Gazette.